Getting older is what we make of it! Yes our bodies do deteriorate, it is a natural process and your musculoskeletal system is no exception. 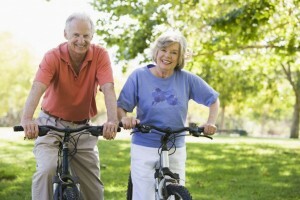 Osteopathic treatment may assist us as we age. Treatment may help to reduce pain and restore movement which in turn enables us to remain active and independent for longer. At Gateway Osteopathy we strongly believe the treatment Osteopaths provide including soft tissue massage, stretching and joint articulation may assist many of us to maintain a better quality of life in our later years.